low carb pulled pork carnitas Mexican recipe. 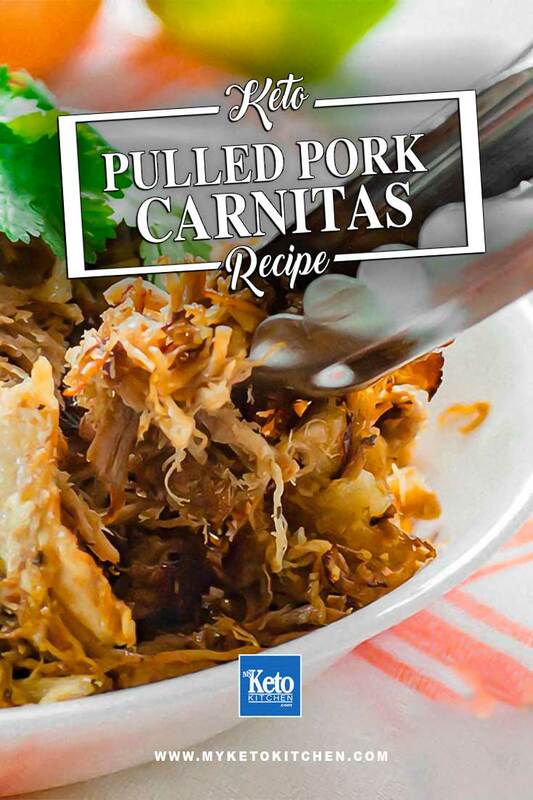 This Low Carb Pulled Pork Carnitas recipe is the perfect base to many tasty meals. Great for expanding your Mexican recipe list. A pressure cooker is an asset to any kitchen, and we certainly get loads of use out of both our electric and stove-top pressure cookers. We’ve used our electric pressure cooker previously when making our Corned Beef with Low Carb Mustard Sauce. If you’re a bit of a traditionalist, Gerri prefers to use a stove-top pressure cooker, as she likes to have full control over every dish she prepares. A pressure cooker is an excellent kitchen utensil if you’re into Mexican food to get tough cuts of meat tender quickly. If you’re after a recipe to accompany your Pork Carnitas try our Mexican Cauliflower Rice or our Low Carb Mexican Peas recipe. This recipe can also be cooked in a slow cooker if you prefer to set and forget. After marinating the pork, place all the ingredients into your slow cooker. Cook on low for 8-10 hours. Our Low Carb Pulled Pork Carnitas recipe is perfectly delicious straight from the pan. But we’ve got so much more planned for them. Remove any string or netting from the pork. Unroll it and cut deep slits in the meat to ensure even marinating and cooking. 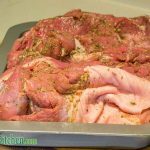 Rub the pork with the cumin, oregano, erythritol, salt, pepper and 1 tbsp olive oil and marinate for 24 hours. 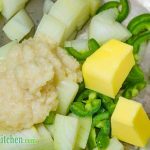 Dice the onion, slice the jalapenos and place into the base of your pressure cooker. Add the butter and garlic and saute over medium heat for 3 minutes. Add the lime juice, zest and chicken stock, followed by the marinated pork. Doing so keeps the skin and fat to the top. Place the lid on your pressure cooker and set the pressure switch to 2. Once steam is beginning to escape, drop the temperature to low and cook the pork for 2 hours. After 2 hours have passed, turn off the heat and allow your pressure cooker to sit and depressurize for 20 minutes before releasing the lid. Gently remove the pork from the pressure cooker, it will be very soft and tear apart easily. We recommend using a set of tongs in each hand or a sturdy spider tool to remove it. Put the pork into a baking tray and shred the meat with the tongs or a pair of forks. Turn the heat back to high and reduce the cooking juices by two-thirds (2/3). Pour the reduced juices over the shredded pork. To serve, heat 1 tbsp olive oil in a non stick pan over medium to high heat. Add the pork to the pan and press down gently. Cook until the pork is as crispy as you desire. 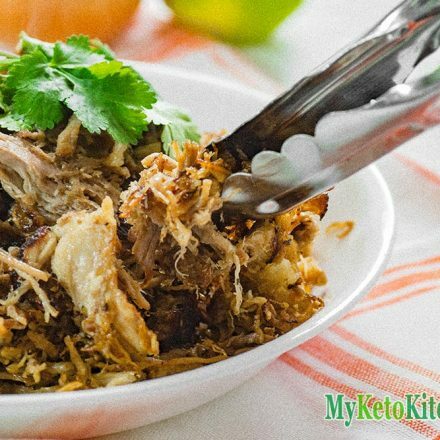 This delicious Low Carb Pulled Pork Carnitas recipe is the perfect base for many Mexican dishes. Favorsome with a mild heat. Add the lime juice, zest and chicken stock, followed by the marinated pork. Keeping the skin and fat to the top. After 2 hours has passed, turn off the heat and allow your pressure cooker to sit and depressurize for 20 minutes before releasing the lid. Gently remove the pork from the pressure cooker, it will be very soft and tear apart easily. We recommend using a set of tongs in each hand or a sturdy spyder tool to remove it. To serve, heat 1 tbsp olive oil in a non stick pan over medium to high heat. Add the pork to the pan and press down gently. Cook until the pork is as crispy as you desire. To make a larger batch of this Low Carb Pulled Pork Carnitas recipe adjust the servings in the card above. 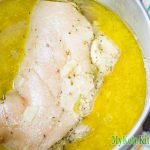 You can use the high pressure on your instant pot for this recipe. I’m sorry that I can’t be more helpful with this, I’ve never used an instant pot. I have done a little research and 2 hours on the meat setting should ensure that you have delicious, tender pork. Please let us know how it goes. Marinating as I write. Can’t wait! Can you put this in a oven at like 325 covered with foil?